PaTRAM Institute presents the Annual Labor Day Conductors’ & Singers’ Workshop. The Labor Day Conductors’ & Singers’ Workshop will be held at Holy Trinity Monastery, in Jordanville, NY from Friday, September 1st thru Monday, September 4th, 2017. Arrival is early morning Friday, September 1st for registration at 9am, and departure starts mid-day on Monday, September 4th. NEW THIS YEAR! EXPANDED FORMAT TO INCLUDE CONDUCTORS AND SINGERS! The Annual Labor Day Conductors’ and Singers’ Workshop gives the aspiring church musician-whether just starting out or with moderate musical skills- a chance to grow as a singer or choir conductor! Strengthen your abilities under the direction of acclaimed conductor and mentor Dr. Peter Jermihov and our esteemed faculty, Fr. Ephraim Willmarth, Laryssa Doohovskoy and Dr. Irina Riazanova. Conduct and sing parts of a Hierarchical Divine Liturgy at the Holy Trinity Monastery! Room rate: $115.00 plus tax/night, double or single occupancy. BREAKFAST BUFFET included! Free WIFI! Pool and Fitness Center! Individuals are responsible for booking their own rooms. Please book soon! Room block & rate expire on August 17! 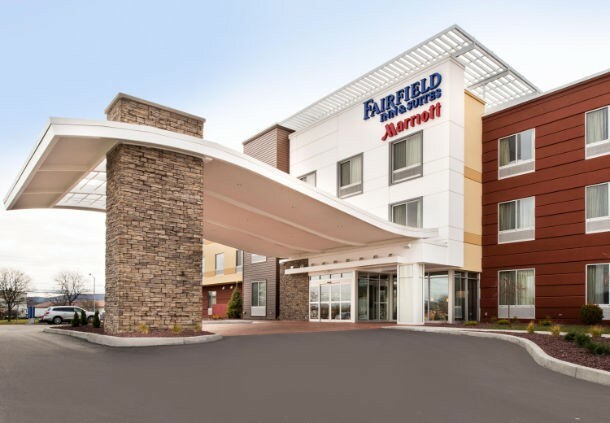 The Fairfield Inn is a 30 minute drive from the Holy Trinity Monastery. Please plan accordingly. Applicants are solely responsible for getting to and from the Holy Trinity Monastery and, if applicable, the group hotel for the duration of the event. Applicants are also responsible for their own travel and lodging for this event including, if applicable, getting to and from local airports and getting to and from their lodging location. Applicants are responsible for any meals not provided by the event planners. From registration date thru August 1st, 2017: Full Refund will be issued. From August 2nd, 2017 thru August 15th, 2017: 25% Refund will be issued. After August 15th, 2017: NO REFUNDS. Please print, sign and scan into a file the following forms, as they will be required to be uploaded in the registration process.